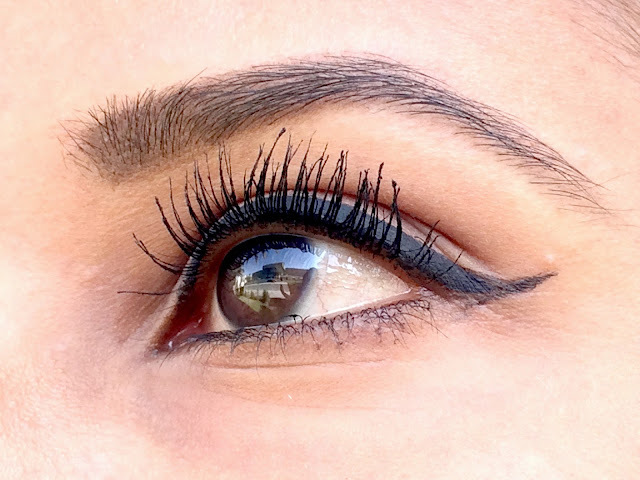 As part of my Sample Sunday series, I'm reviewing the Estée Lauder Sumptuous Extreme Lash Multiplying Volume Mascara in 01 Extreme Black today. Phew, what a mouthful! 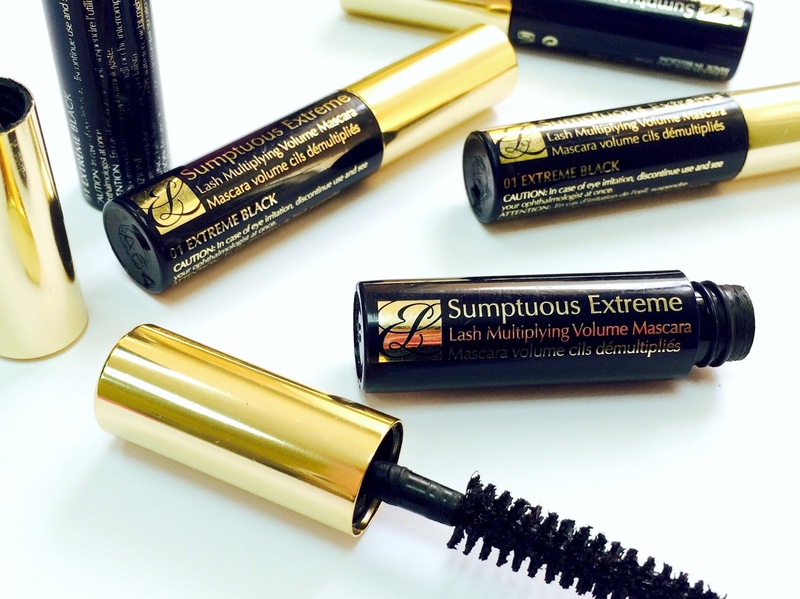 I've also tried the Sumptuous mascara, but I prefer the Sumptuous Extreme as it is a deeper black formula. These are all travel sizes and contain .1 OZ or 2.8 ml. Please don't ask me why I have 5 of these mascaras. Ha! They're all either gifts with purchases or given to me by friends. I love how they're so dinky and whenever I get my hands on one, I usually stash it away to take on holiday. Perfect for tiny handbags too. I have naturally curled lashes and like to think that I have reasonable length. What I don't have is volume and my 5 year old's lashes put me to shame! So whenever I'm on the market for a new mascara, I look for something that'll give me serious volume with an almost false lash look, along with length of course! When it comes to mascara, we always want more and more right? The Estée Lauder Sumptuous Extreme Mascara ticks all my boxes and gives me length with separated voluminous blacker than black lashes. The formula is build-able with minimal clumping, but then again, I am partial to that thick clumpy look (each to his own I guess!). I'm not overly keen on the wet formula though and find that if I'm to open my eyes too quickly during application, some of the mascara from my top lashes transfers onto the area just below my brows. The brush is also quite large (31 mm!) and it is a challenge to coat your lower lashes neatly, hence the smudging in the photo below. The photo was taken with 2 coats of mascara. Post application and cleanup however, this mascara wears well without any smudging or flaking throughout the day. This mascara will not weigh down your lashes and despite multiple coats, you're still left with soft and fluttery lashes. If it weren't for the fact that I never commit to one mascara and am always looking for the next best thing, I would go as far as classifying this as my HG mascara. 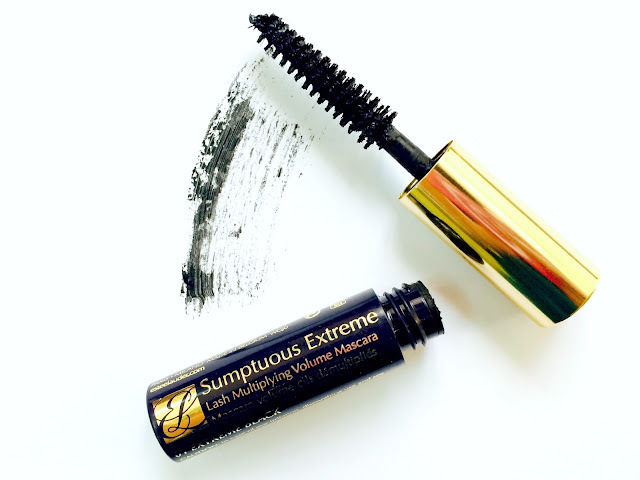 The Sumptuous Extreme mascara is nothing short of wonderful and a definite must try!